We visit your property to examine your floors and assess their condition and any previous treatment. We’ll discuss with you their amount of use and how you’d like to see them restored. This will cover the feel of the room; the overall ‘look’ you wish to create; the amount of potential wear; and how much aftercare you will wish to devote to your floor. Restoring a wooden floori cannot be a cheap project. It is labour intensive - and stains and sealants require several coats for the full effect. As in any walk of life - you get what you pay for. We have set prices for every stage in the floor restoration process – so can create the restoration programme to fit your budget. 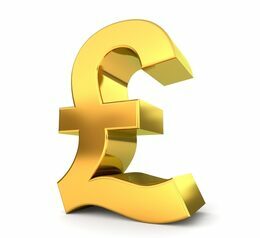 You’ll receive a fixed quote for the complete job – so will know exactly what you will be paying. With no unpleasant surprises. 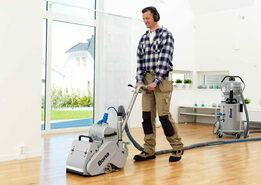 Allow a full day for any floor sanding job – while multiple rooms or larger areas will take several days. The work area must be kept clear during that time. 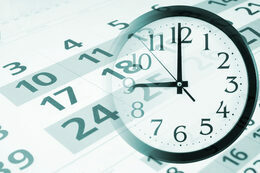 We’ll give our estimate of timings during your free assessment. With commercial properties, you will want minimal disruption so that you have to remain closed for as short a time as possible. We are very flexible - working at evenings or weekends if necessary. Although sealants require several hours to dry between coats, we can speed up the process if required. As in an Estee Lauder hair salon in central London. We worked overnight with five teams of sanders – and heaters to accelerate drying. Result? The salon was open for business the following morning! Allow us to deal with old carpets. They can be tricky to remove completely –and staples need special tools. And they are heavy and will probably need to be taken away in a van. We’ll dispose of them in the appropriate place. Furniture also has to be cleared from all areas to be sanded, but there’s no need to strain your back. Simply ask us to do it for you. And don’t forget that it will need to be replaced. We know how to do this without damaging or scratching your beautiful new floors! Sanding does create a lot of dust and noise. Older-style drum sanders in particular tend to spread dust. As this can linger for days, it is not creating an atmosphere conducive to the well being of children, staff or customers. 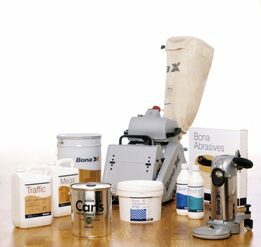 We minimise this dusty atmosphere with our modern cylinder sanding machines. Their dust collection system is unique – as the attached bags stay outside the rooms as they are sanded. We further restrict dust by masking off doors and windows - and frequent vacuuming. A level finish is essential for the perfect and even adherence of stains and vanishes. Any uneven areas can take on a dark appearance. We ensure a smooth surface by the use of hand tools and edging sanders. We can reach the edges of a room – and finish any awkward areas. Ugly bitumen or ‘Victorian’ style black wax will also be removed without trace. And those old concrete fire hearths are not safe, either. We will remove them and replace with floorboards. A great variety of boards and blocks have been used over the centuries in UK floors. Whenever possible, we match with reclaimed timber of the same wear and vintage. Although we can call on a nationwide network of reclaimed wood suppliers, this can sometimes be a challenge. An office block in Central London had 1930s parquet floors - with a missing area of about 40 sq feet. The right replacement blocks were not available in the capital - so we had to search further afield. We finally tracked them down - from the demolition of an old mews building in Nottingham. But old parquet blocks were made in many imperial sizes - and these were three inches deep! After cutting them in half by hand, we filled in the gap – and sealed them with three coats of hardwax.oil. All the effort proved highly worthwhile. The company staff now enjoy working in their modern glass partitioned offices - complemented by a beautiful period parquet floor. A staircase is often a feature that is taken for granted – and forgotten for decades under old carpet or layers of paint. Yet it is a valuable asset that can transform a property and give it focus and class. Stair stripping is a skilled and painstaking job - but the results will repay all the effort. We strip and sand the entire tread and risers, allowing the whole stairway to be stained and lacquered to withstand hard wear. 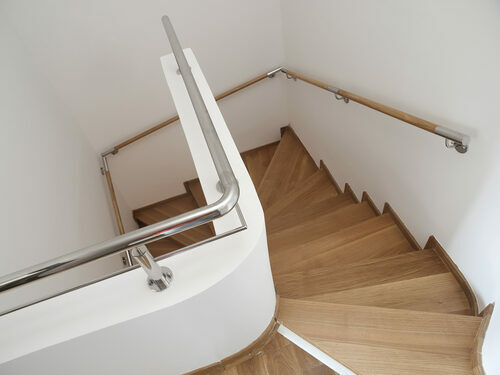 Or - for the most striking effect of all - the risers are painted white and the steps left in clear varnish. And when we’ve given every room the final once over, vacuumed and packed up? Just contact us for aftercare advice for you to maintain your floor's beauty and utility in the years to come. Everyday maintenance is simple. Whatever the finish, your floor will need simple sweeping and/or vacuuming to remove dirt and grit. Avoid revolving vacuum cleaner brushes (they retain grit that can scratch the floor) and excess moisture when cleaning. Stick to a damp mop and a wooden floor cleaner. You can use specialist products to maintain the finish. A lacquered floor will lose its original lustre over time. When regular cleaning has no effect, just sand down the surface - and apply a new coating of lacquer. Go for the best – contact us today! Sanding may appear straightforward - but is full of pitfalls for the weekend amateur. No matter how competent a DIYer you may be, sanding is a job for trained professionals. Hire shops are likely to stock the old and cumbersome drum sanding machines. They are surprisingly heavy, so watch your back as you carry it into the house. The dust and noise will be worse than you anticipate. And you find them difficult to manoeuvre. You could easily leave ugly clatter marks on the floor - or do more lasting damage. If you take off too many layers of wood from a floor that has already been sanded a few times, the sealants will not bond – and the floor beyond repair. 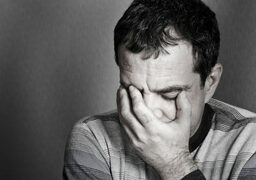 Please don’t join those customers who call on us to rectify the damage from their misguided efforts. You are unlike to save any money, could end up having to pay out a lot more - and have a substandard floor into the bargain. Call on us first for a free assessment and the best advice. Sanding is just one stage in the whole process: you will also need the right stains and sealants for your wood type and intended floor use... 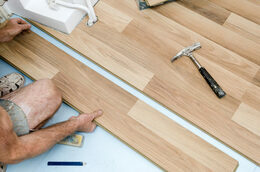 So ask us - we’ve worked on every type of floor and will know what is right for you. 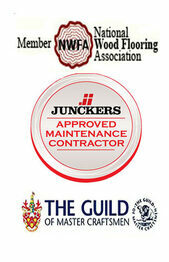 Please phone 020 3369 9858 or email us for a no obligation quote.